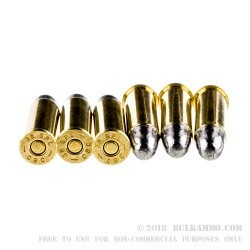 This 158 grain lead round nose ammunition is the perfect choice for some outdoor target practice. This load achieves a muzzle velocity of 755 feet per second and produces strong accuracy with only mild recoil. 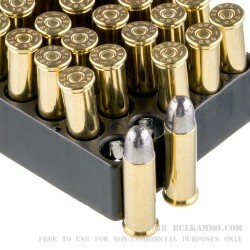 Each round in this box of 50 cartridges uses reloadable Boxer-primed brass cases. If you plan to shoot indoors, check with the range before using lead round nose ammo. Some ranges prohibit LRNs due to lead exposure concerns. Magtech is the export brand of the Companhia Brasileira de Cartuchos (CBC), a Brazilian firm headquartered in Ribeirao Pires a short distance from the bustling metropolis of Sao Paulo. In business since the 1920s, CBC uses fully modernized and automated manufacturing lines on its 500-acre production facility and builds its own powder and primers to maintain maximum control over quality. The company exports SAAMI-spec ammo all over the world, with its US products going through the Magtech distribution and marketing offices in Minneapolis, Minnesota. CBC also produces artillery shells and other munitions for the Brazilian military. A: Hello Gage, These 158gr. 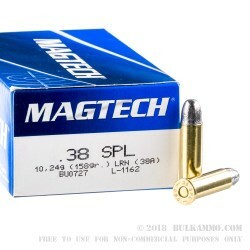 LRN rounds in .38 Special by Magtech are factory new rounds and not reloads. They make excellent target rounds for your .38 Special firearm. Q: What is the length of this cartridge? I want to make sure it will fit in my grandpa's old revolver. 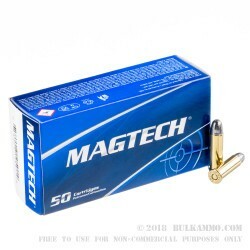 A: Magtech's 38A (38 Special 158 gr LRN) cartridge has an overall length (OAL) of 1.51-1.54" according to the manufacturer.